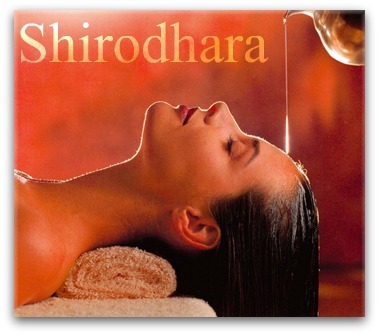 This is a profoundly relaxing warm oil stream treatment, here a steam of warm Ayurvedic oil is made to drip on your forehead in the area above your eye brows the site of third eye or Ajna chakra for 40 minutes, including an Indian head massage, full body light oil application (light abhyanga massage) and Indian face massage prior to the procedure. 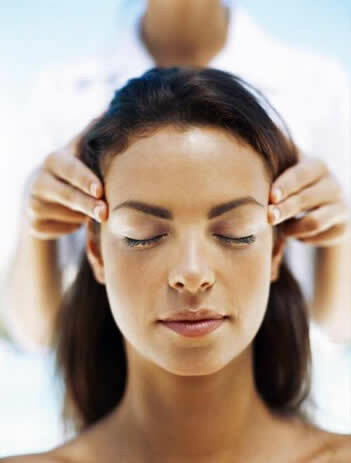 It is a very powerful and effective therapy for anxiety, sleeping disorders and other somatic and mind related concerns. See our website on the blog page for a research study on other benefits of this therapy. ​Book Now Spots are limited at this price ! ABHYANGA Detoxifying ayurvedic Oil massage treatment with detoxifying steam (Deluxe version ) also includes Indian head massage Total duration 90 mins. Abhyanga is a powerful fully body therapeutic massage treatment in which very rich, specialized oils are used, which are both highly invigorating and nourishing to the skin, nervous system and organs. It is very helpful in relieving muscular tension and an array of stresses, while promoting a feeling of ‘well-being and balance’. It gives powerful regenerative energy to the central nervous system and very beneficial for Chronic Fatigue. You walk out fully refreshed and charged. Abhyanga is a powerful full body therapeutic massage treatment in which very rich, specialized herbal oils are used, which are both highly invigorating and nourishing to the skin, nervous system and sensory organs.It can be very helpful in relieving muscular tension and an array of stresses, while promoting a feeling of ‘well-being and balance’. It gives powerful regenerative energy to the central nervous system and very beneficial for Chronic Fatigue. You walk out fully refreshed and charged. Total duration 45 mins. This treatment can be combined with an oil ayurvedic massage and can be followed by a gentle steam treatment Swedna to supercharge your senses and refresh your body. HOT PRICE BOOK NOW !